Because 90% of the brain is developed by age five, access to high-quality early childhood learning experiences is critical for a child’s exploration of the world around them as they reveal their personal passion for life-long learning. 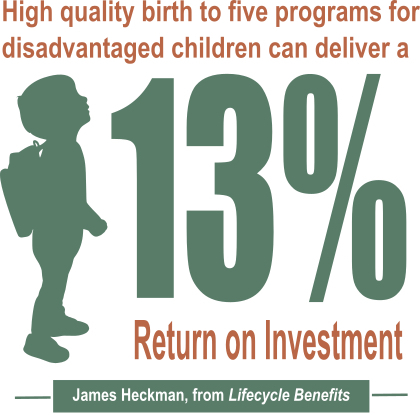 This is why the LAUNCH Flagstaff Early Learning Network is committed to increasing equitable access to high-quality learning experiences for every child in Flagstaff between the ages of 0-8 years. We know that the positive outcomes from this effort impacts every corner of our community from improved lifelong health to lower crime rates and improved economic vitality. Teams of subject-matter experts and early childhood educators are meeting and focusing on two areas of impact. Too few children in Flagstaff have equitable access to high-quality preschool. This condition is unsatisfactory and is an obstacle for advancing world-class education for every child in Flagstaff. Literacy in language and mathematics during early childhood is a primary indicator for life-long learning success. Improving equitable access to high-quality literacy opportunities is our primary objective. How are the pockets of poverty in Flagstaff impacting access to high-quality learning experiences? Can improving resiliency in children improve literacy? Are ACES in early years more significant than in later years?